I saw someone outside the theater right before the show and thought “wow…that guy looks like a douche”….he was, in fact, the actor (DB) in the musical that was IN FACT a total douche! 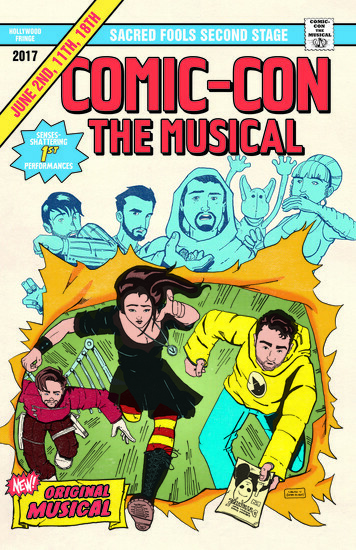 That’s how spot on this musical is to the source material at Comic-Con! Get ready to laugh, be entertained by the songs…completely enjoyable! It’s a long musical with an “interesting” intermission so hit the bathroom before the show…you’ll thank me 3/4 of the way through the show. I would absolutely see it again.